Over the course of my blogging, there are some tools I use that I could not blog without. These are the products I have used to grow my blogs and to continue to improve upon techniques for the future. WordPress.org – Self-hosted WordPress is the only way to go (in my opinion) if you want to get serious about blogging. Not only is it free to download, but there are a ton of different plugins and themes to really make WordPress look like something you can call your own. Even big name companies are using WordPress as a full CMS these days. That should let you know how powerful this platform has really become. Sliqua – At the bottom of my blogs, you will see a link that says “Wicked Fast Hosting by Sliqua” and that is because it is true. The crew over at Sliqua keep my blogs up and running 24/7 with incredible backups. You pay for that speed and top level service, but…in my world…downtime is money so I am willing to pay a little bit more to get that security. Aweber – Aweber is the only newsletter/email distribution service out there in my opinion and having a solid email list will be your greatest asset as a blogger. Aweber has incredible delivery rates, great service, useful features (lightbox hovers, form builders, stat tracking) and great prices. You can start out for only $1. I use Aweber on every single one of my blogs. MacBook Pro – I am a Mac junkie…so it would make sense that I am running everything on a 15.4″ MacBook Pro with 4 gigs of ram. I don’t know what I would do without it honestly. My entire online life is compiled on the MBP and my iPhone 3GS. My blogging would me much harder without either of those tools. CyberDuck – CyberDuck is a Mac program that handles all of my FTP file transfers. It has an easy to use interface and – best of all – it is free! When it comes to uploading files to my servers, I could live without this rubber duck in my dock. Blog Mastermind – Early in my blogging, I was seeing a moderate amount of success but I knew I needed to fine tune my processes. I signed up for the Blog Mastermind program and the rest is history. Was I doing a lot of the chapters in Blog Mastermind already? Yes…but it helped me fine tune what I was doing and introduced more valuable blogging information and techniques that would have taken awhile to figure out on my own. Check out Blog Mastermind here. Ramped Blogging – Yes…I use the ebook I published as a resource to improve my own blogging. As much as we all wish we could remember everything to do at all times…that just isn’t possible. So, I created Ramped Blogging as a resource for myself (188 page cheat sheet) as much as I created it to help out other bloggers. Download your copy of Ramped Blogging. Mint – Stat Tracking from Mint is a bargain at only 30 dollars per domain (one time fee). I get a detailed, inside look at my stats and with a bunch of free bolt ons…you can really tailor this web site tracking package to your specific needs. It is also easy to use via my iPhone for peaking into my sites on the go. Firefox – I really wish the entire world would change over to Firefox for their web browsing and drop Internet Explorer all together. It renders webpages much easier, has a lot more options and allows you to install plugins that increase its functionality for a multitude of users. Did I mention it is faster and free?! Photoshop CS4 – I use a lot of images and graphics in my articles for my blogs, so I need a powerful imaging program to handle compression and image generation. Photoshop is the leader in this industry and for good reason…it is the best. There are a lot more cost effective options out there, but Photoshop still does the best job. Tweetie for iPhone – The latest version of Tweetie for the iPhone has really streamlined my Twitter use by making it easy to accomplish almost all Twitter tasks on the move. Let’s face it…the times you want to update Twitter the most are when you are away from your computer. Tweetie gets that done for me. TweetDeck – When I am using Twitter on my computer, it needs to be quickly and efficiently. With multiple Twitter accounts with thousands of followers, TweetDeck allows me to view all accounts at once and create different groups. With an easy to use layout, TweetDeck saves ma a lot of social media time. TwitSniper – Unless you are an A-List blogger or celebrity, gaining a significant following on Twitter can prove to be a difficult task. You will have to follow others before they follow you and TwitSniper puts that task at my finger tips with easy to use autofollow via specific keywords and mass unfollowing those that do not follow back. This allows me to really leverage Twitter to meet new people and expand my list. Skype – Skype is a life saver. Part of dealing with an internet business is having to make calls all over the world. Skype allows you to do this and for an extremely low price in comparison with the competition. I even have my own phone number and voice mail! I also use Skype to record interviews for my sites. If you are planning on doing any recorded interviews, Skype will be the preferred method by most people. OiOPublisher – If you are ever planning on selling direct advertising on your site, OiOPublisher is a must have. This cheap plugin (available as an easy to use WordPress plugin and works on other platforms) allows you to sell your ad space directly on your site and bill for reoccurring payments through Google Checkout, PayPal and others. It also tracks stats and automatically rotates your ads to make sure they do not get stale to your readers. MaxBlogPress Ninja Affiliate – The Ninja Affiliate plugin is probably my biggest asset in affiliate marketing as it has paid for itself about 50 times over. Not only does it allow you to make pretty affiliate links, but it completely manages all of the links in your site, tracks the stats and automatically inserts them via keywords so you do not have to dig through every post to insert links (or go back and change them when your affiliates change). A must have for any blogger considering affiliate marketing. Check out Ninja Affiliate here. InDesign – I have been asked multiple times how I make my eBooks really pop. 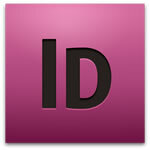 Adobe InDesign is an extremely powerful app from Adobe that creates incredible looking PDF files. I know…its expensive, but take a look at Ramped Blogging and Ramped Reviews…and that is just scratching the surface of what InDesign is really capable of. Acrobat Pro – I use Acrobat Pro for all of my PDF viewing, PDF file compression for web use and basically everything that has to do with eBooks outside of actually designing the book. Adobe is the leader in PDF technology so it would only fit that they have the best app out there for it. Buy Adobe Acrobat Pro here. How To Launch The **** Out Of Your eBook – What to not have to learn eBook production and publication the hard way like I did? All of the testing and trial and error I went through could have been drastically reduced if I would have picked up a copy of “How To Launch the **** Out Of Your Ebook” first. Dave and Naomi did an incredible job and I still use their techniques today. Buy How To Launch The **** Out Of Your Ebook here. e-Junkie – I use e-Junkie to manage all of my distribution and affiliate promotions for my paid ebooks. The service is easy to use, reliable and cheap. Hard to beat that combo when you are trying to sell your product online.